The Liberty Ranch IOP supports men and women suffering from alcoholism or addiction to amphetamines, cocaine, Fentanyl, club drugs, designer drugs, opiates and prescription drugs. 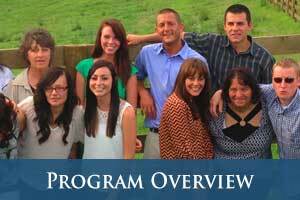 This program is appropriate for clients managing work and family responsibilities while attending part-time rehab. Substance misuse IOP is not recommended for men requiring medical detox or those requiring 24/7 supervision for severe chemical dependency. Licensed through The Kentucky Cabinet of Health and Family Services, we now offer cost effective outpatient services to the community. A comprehensive program that includes evidence-based treatment using psychological principles tested through scientific research. Individual counseling with an emphasis on cognitive-behavioral, rational-emotive, and solution-focused therapy. Psychotherapy for comorbid conditions such as Anxiety, Depression, ADHD, Bipolar, Eating Disorders, Trauma, PTSD, Grief and Personality Disorders. Addiction as a Disease Clients and their families will receive education of the disease concept of addiction to help them deal with their condition in the most optimal way. Using the principles behind cognitive-behavioral therapy, residents will receive lectures, participate in discussion groups, and preview videos that characterize addiction as a brain disease that hijacks the reward system and alters its structure and functioning. This intervention is crucial to helping residents understand that recovery consists of developing and maintaining complete abstinence from all addictive substances and emphasizes the importance of a 12-step peer support group. Early Recovery Skills and Motivation Research shows that the first three to six months after treatment is a critical time-period in the recovery process where relapse rates are the highest. Therefore, it is important to address the barriers that will threaten the recovering addicts’ new-found sobriety. Using the principles behind motivational interviewing, clients will participate in groups and receive one-on-one counseling that address various issues such as ambivalence, resistance to change, and reservations to use. In addition, clients will learn indispensable skills for structuring their lives once leaving our facility such as identifying priorities, scheduling, and time management. They will also learn to recognize and take corrective action when encountering old friends and associates, attending special occasions, as well as coping with negative emotional states such as anger, irritability, complacency, compulsivity, boredom, and stress. Relapse Prevention and Trigger Identification Relapse is always a process and never a single event. There are a variety of behaviors and attitudes that arise before the recovering addict picks up the drink or the drug. Using the principles behind rational-emotive therapy, clients will learn to how to spot and identify maladaptive thinking patterns that are affecting their emotions and behaviors that are making them uncomfortable. They will also learn to identify their own triggers that cause the craving to use and will learn effective strategies to curtail the behavior into something constructive. Coping with Emotions Part of getting sober entails experiencing emotions and feelings for the first time in many years. Many addicts come into recovery dealing with unresolved grief or trauma and are struggling with a variety of psychiatric symptoms such as anxiety and depression. They are also experiencing positive emotions such as happiness, excitement, and enthusiasm. It takes time in recovery for the recovering addict to get used to feeling these emotions again and not make major life decisions based on them. Utilizing cognitive-behavioral and solution-focused therapies, clients will address distortions of cognition and perception and learn how to reframe them into a more realistic context. This will help in mitigating overwhelming negative emotional states. Clients will also get an opportunity to address grief, loss, and trauma using a variety of Freudian and sensory integration techniques. They will also have an opportunity to develop awareness of their positive emotions and share them with others. Developing Trust, Communication, and Recovery Skills For many years, clients have been involved in relationships that were based in dishonesty and codependency, engaging in damaging interactions that were hurting themselves and other people. Part of the recovery process is to develop healthier relationships that are based in transparency, honesty, and self-respect with appropriate boundaries, autonomy, and mutual partnership. Using the principles behind person-centered (Rogerian) therapy, clients will engage in active role play and group therapy where they will learn the skills they need to achieve such relationships in their personal lives. In addition, clients will be involved in one-on-one counseling that utilizes principles behind acceptance and mindfulness based therapies to help them develop the ability to self soothe and manage internal distress brought on by their relationships. Career Counseling Often, addicts come into recovery without any idea of what they want to do with their lives. Some may have not been able to hold down a job or find their career interesting or rewarding. Clients will have the opportunity to explore different aspects of their personality, skills, and interests to consider new career objectives and satisfying work environments. A career counselor will conduct these assessments, help clients construct a competent resume, and provide job interview skills.